Description: Aerial. 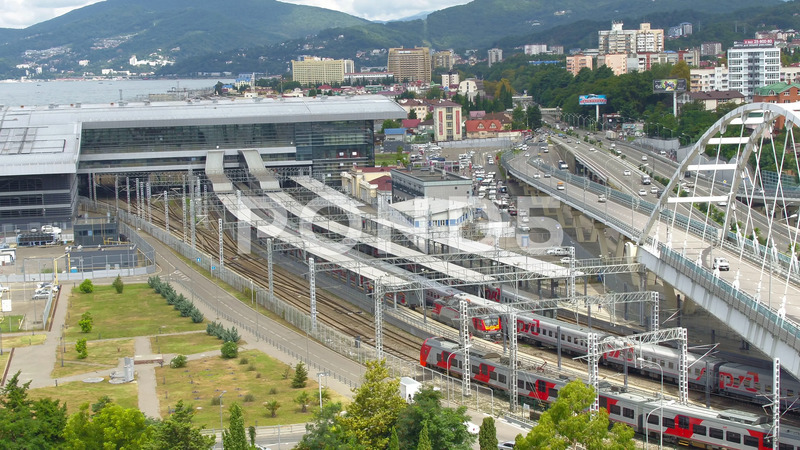 The camera is flying over a large railway station, an overpass, and roads with moving traffic. A red-and-gray passenger train with the inscription "Russian Railways" is arriving at the station. In the background we see huge green hills, the sea and city buildings.